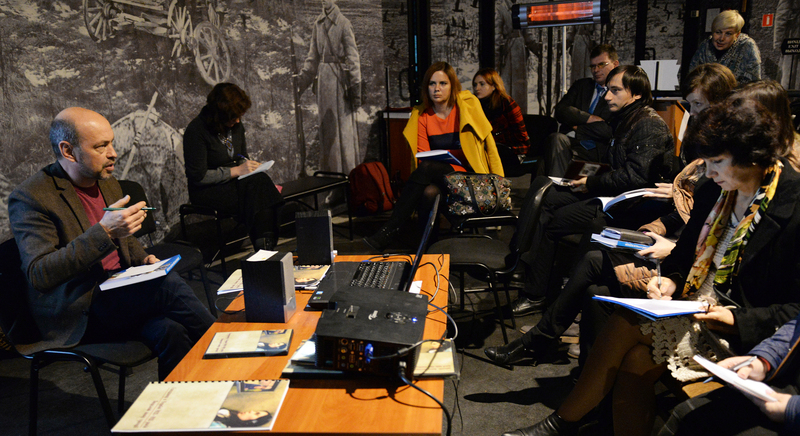 USC Shoah Foundation regional consultant Anna Lenchovska and education expert Oleksandr Voitenko hosted an educational seminar for teachers in Kyiv on Oct. 20. 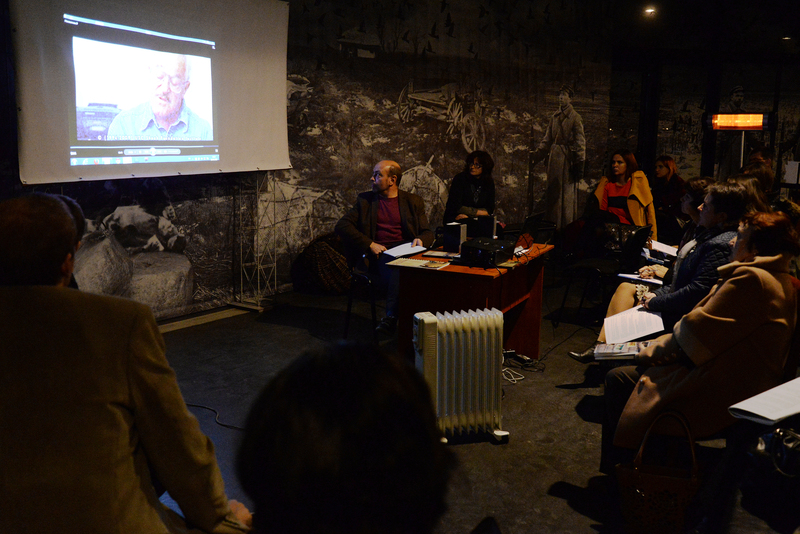 The seminar introduced the participants to the multimedia teacher’s guide Ukrainian Famine of 1932-1933: The Human Dimension of the Tragedy. The Great Famine of 1932-1933 is a relatively new topic in the Ukrainian school curricula, often complex and controversial in nature. 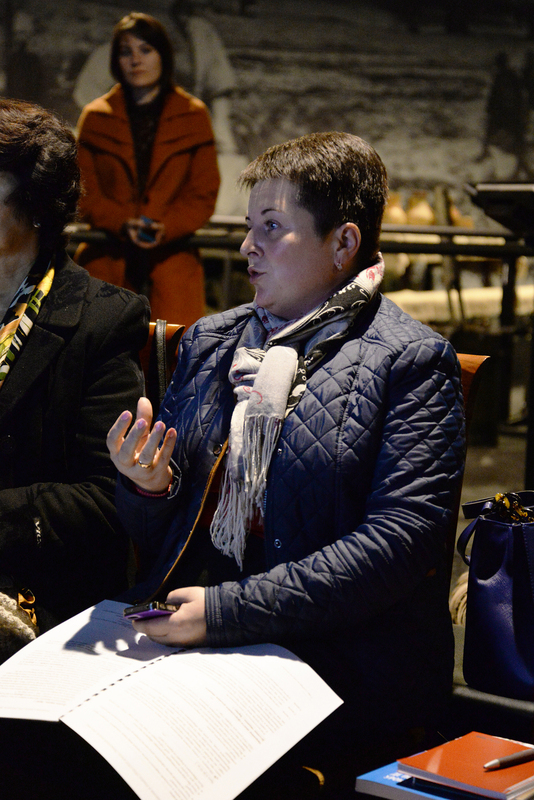 Silenced during the Soviet era, the famine was officially recognized by the Ukrainian government only in 1987, and its root cause is the subject of scholarly and socio-political debate worldwide. Since Ukraine gained its independence in 1991, the Ministry of Education has recognized the critical importance of developing appropriate methodology of teaching the subject, but as of 2009 no manual had been developed for teachers on the national level. During the Institute’s Encountering Memory training program conducted in 2007-2008, teachers continually expressed a need for new resources dedicated to the famine. 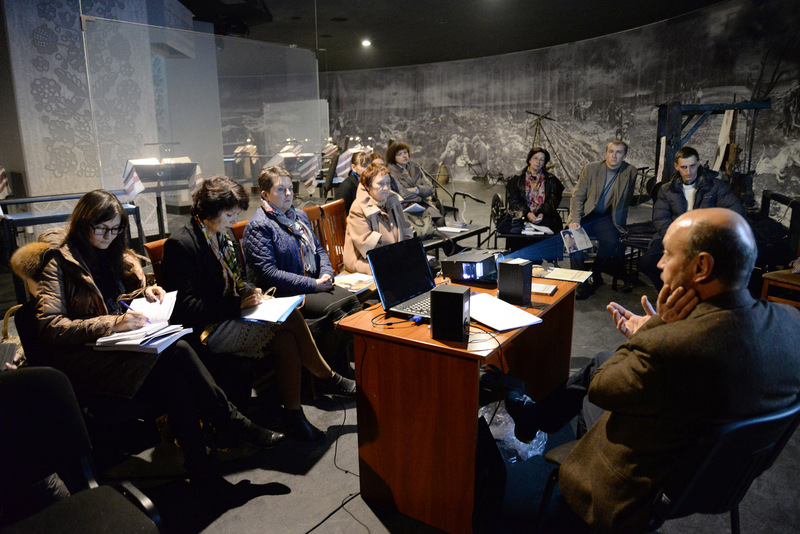 Responding to the teachers’ need, the Institute developed Ukrainian Famine of 1932-1933: The Human Dimension of the Tragedy, a multimedia lesson for secondary school teachers in Ukraine. Drawing upon video testimonies of those who lived through the Great Famine—there are approximately 800 testimonies in the Institute’s archive where the famine is discussed—the lesson examines the tragic event from two different perspectives: through the lens of official history, and through the lens of ordinary people. 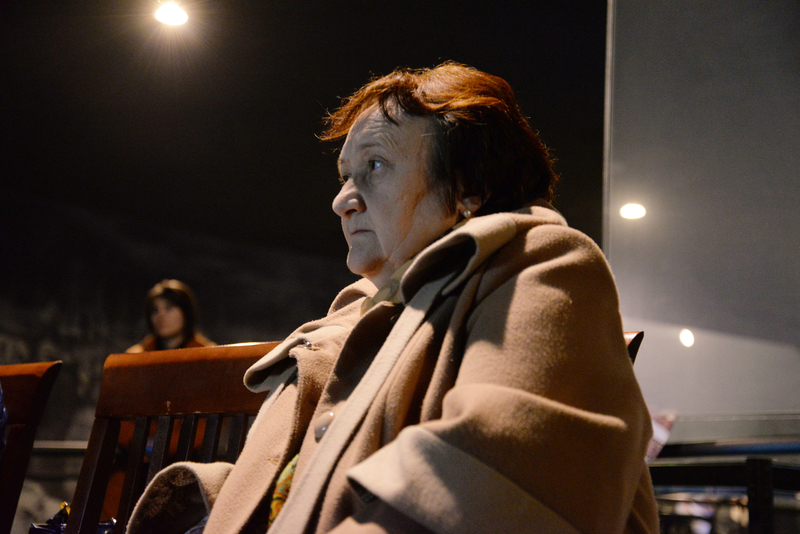 The resource was authored by Voitenko and Mikhail Tyaglyy, who are both history teachers, education experts and frequent leaders of USC Shoah Foundation’s teacher training workshops and seminars in Ukraine. Ukrainian Famine 1932-1933 can be used in a variety of subject areas, including Ukrainian history, law, ethics, philosophy and more. The guide was approved for use in secondary schools by the Ministry of Education and Science of Ukraine. 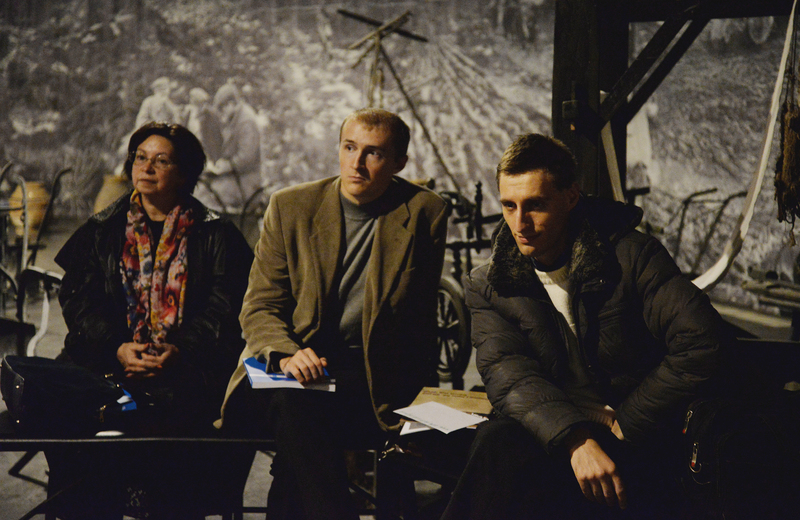 The training on Oct. 20 was held at the Memorial to the Victims of Famine in Ukraine national museum in Kyiv. 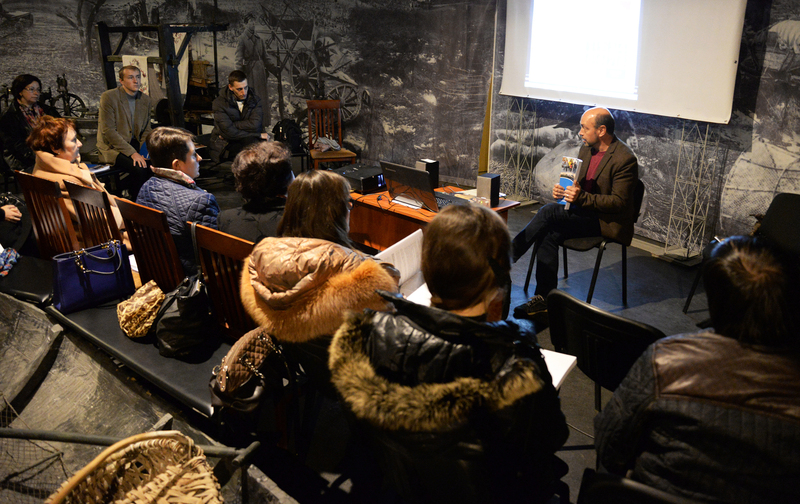 Yaroslav Muzichenko, head of the Museum, spread the word about the training in a unique way – by asking friends to invite teachers from their children’s schools. The seminar was attended by 22 teachers from the capital's best schools, gymnasiums, lyceums, colleges and specialized secondary schools. 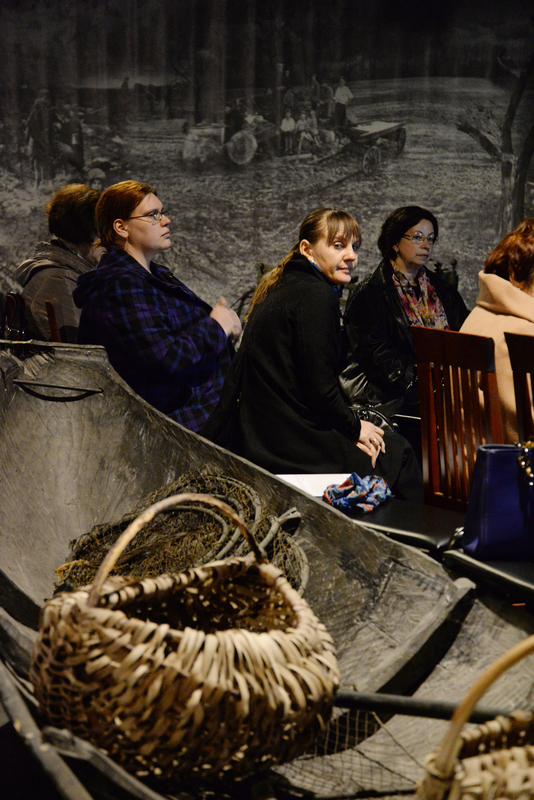 Olesia Stasiuk, museum director and researcher of the Ukrainian Famine, said at the opening of the seminar that the Museum aims to develop its educational programming and create a space in the museum for its work with teachers and students. 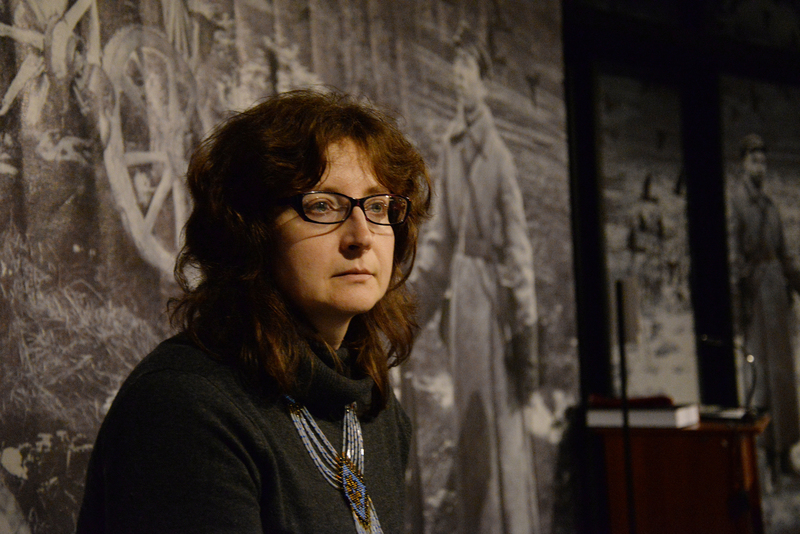 Lenchovska spoke about the unique Visual History Archive and its opportunities for Ukrainian teachers and the educational work of USC Shoah Foundation in the country and the world. 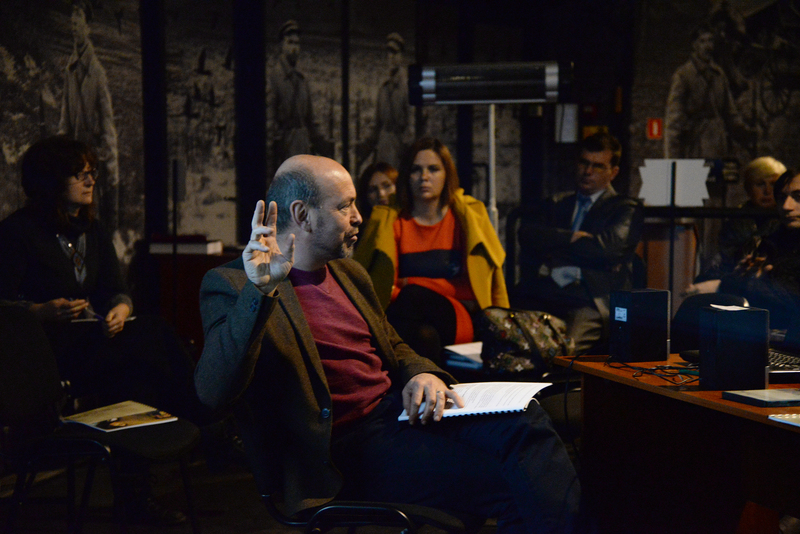 Voitenko was very pleased with the seminar and said: "I really like those teachers who want to achieve good results. These teachers understand more than I can offer as a trainer." The teachers said they are glad that step-by step-instruction and handouts, as well as testimony clips, are available online through the USC Shoah Foundation website. This way, students can work with video testimony at home, preparing for the lesson. Some teachers praised the emotional component of the material, which allows students to make a personal connection, and others appreciated that it can be used across grade levels and subjects.